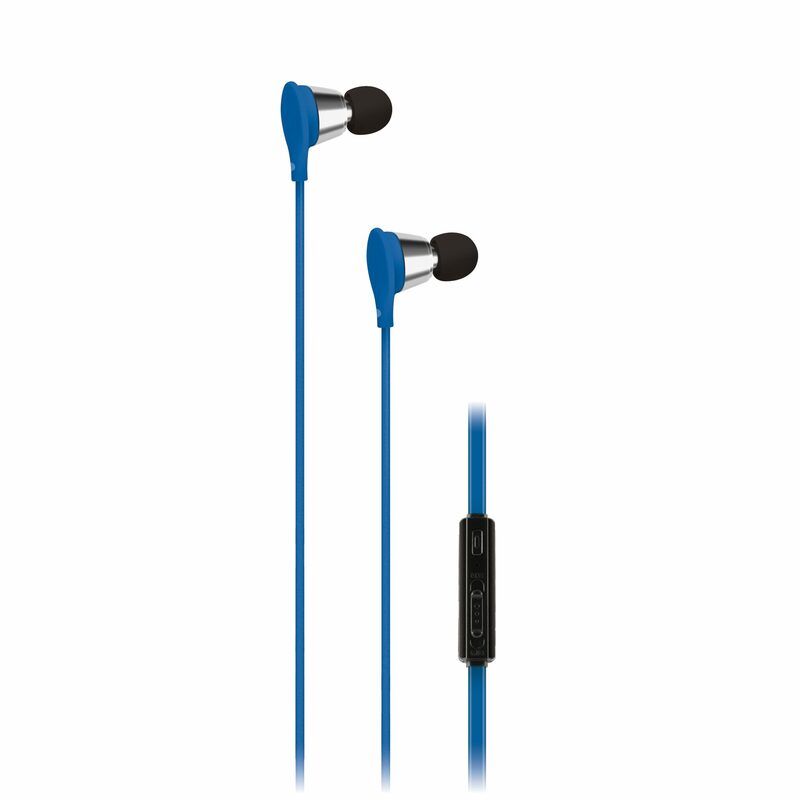 Enjoy the ultimate in style, comfort and listening pleasure with the AT&T Jive Earphones. Large 9.2 drivers along with a wide frequency response and smart ergonomic fit deliver dynamic, crystal clear sound while blocking ambient noise. Jive lets you play/pause music with the remote and control the volume with easy-to-use volume control slider. Take control and answer calls with the built-in microphone and call button without missing a beat! The stylish flat, tangle-free cable makes these earbuds more convenient to carry, so you can enjoy your music wherever you are. With three included sets of noise isolating earpads (S/M/L), you?ll get a custom, comfortable fit that won?t slip out. Special features for iOS devices: In iOS devices, you will also have the ability to skip to the next track or go back to the previous track; And hold down the button activate Siri.